The Ladies | Breugel Bouviers Perm. Reg'd. Here are a few of my lovely gentle females that I have bred. Miss Daisy aka Daisy DOB: August 18th, 2014 Daisy lives in Alberta with her wonderful adopted family Jamie, Lisa and children. 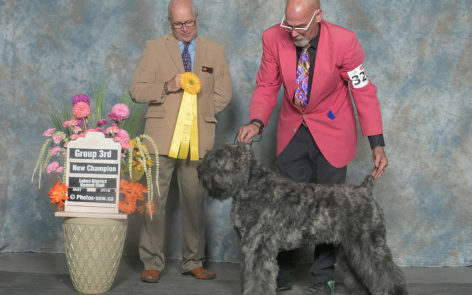 Miss Daisy is our newest Breugel Canadian Champion. 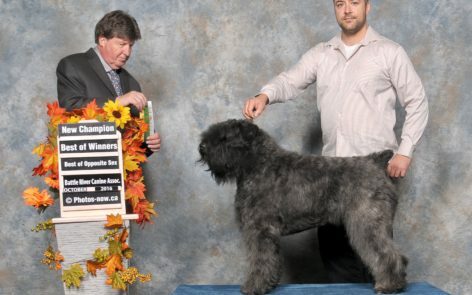 Her family keeps her very busy in Conformation, Rally and Carting.